Jaaxy, Your Competitive Edge Starts Here. Jaaxy is the industry's only keyword and research platform that was developed by affiliate marketers FOR affiliate marketers. There are an incredible number of hands on processes that are very time consuming when it comes to your business. Keyword and competition research can now be a breeze! With Jaaxy you are getting the most advanced, yet useful platform in the world for managing all aspects of keyword, website, competition, and market research. Sign Up & Get 30 Searches, Completely Free! With over 500 Million "brand new" search terms being searched every day, it is important that you have a keyword tool that can offer accurate traffic, competition, and domain insights into billions of keywords. Jaaxy is that tool. 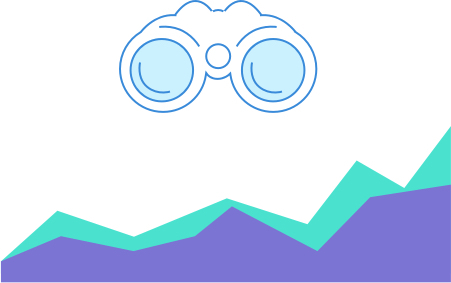 With the Keyword Research Tool, you are going to be able to quickly discover unique, hot and untouched keywords that you will then be able to use to drive your SEO and PPC campaigns to new heights. There are literally millions of niches online, many of which have little to no competition. Having access to the Brainstorm, Affiliate Search, and Alphabet Soup platforms within Jaaxy are going to give you true insights into brand new niches...without you having to do the dirty work. Whether you are looking for a new business idea or looking to dig into the deepest corners of your existing niche, Jaaxy is going to be your power tool. To Beat Your Competition, You Need to Know More Than Them. For a better word, Jaaxy is going to allow you to "spy" on your competition and probe into WHY their websites are ranking, where they are ranking, and you will get insightful data into their website's content structure, meta tags, content quality/length, backlinks, ad placements, along with other information that the competition simply doesn't want you to have. Plain and simple, this information is going to give you a competitive edge. SiteRank, An SEO Dream Feature. SiteRank is a platform exclusive to Jaaxy that is going to allow you to monitor and track ANY rankings in Google, Yahoo, or Bing for ANY website! You are going to be able to trace fluctuations to and you will be automatically notified upon achieving ranking metrics in Google, Yahoo or Bing. It is a true SEO dream tool and is an essential for affiliate/internet marketers, blog owners, local marketers, and merchants. Build Incredibly Valuable Domain Portfolios. A simple domain name can fetch $100's, $1,000's and sometimes MILLIONS of dollars. One domain. High quality, brandable domain names are in short supply and like any type of real estate, once a domain is owned nobody else can own it. With the Domain search feature within Jaaxy you are going to be able to uncover 100 high quality .com, .net and .org domains (the most valuable ones) with every single keyword or local marketing search you perform. Copyright © 2019 Jaaxy. All Rights Reserved. To reset your password, type the full email address that you use to sign in to your Jaaxy Account. Password Reset Link has been sent!